I'm passionate to the very extreme about a handful of writers: Beckett, of course, Paul Auster, Sebastian Barry and David Mitchell. I stalk their publishers waiting for a new release (Beckett excepted, of course, excluding miracles from beyond the grave). So, I eagerly awaited for David Mitchell's new books for well over two years. 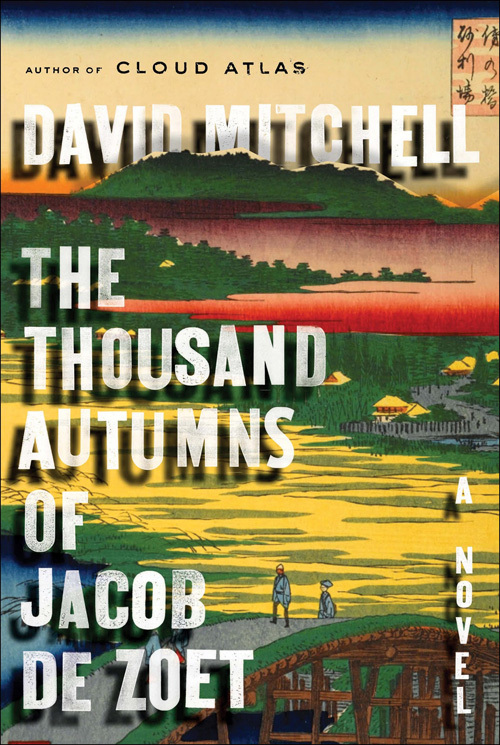 I read The Thousand Autumns of Jacob de Zoet very slowly. For the first 200 pages I was in complete awe. Mitchell has conjured an entire world, a world that seems impenetrable from the outside. His research is mammoth, but more than the historical facts and accuracy, his vision for minute details is stunning. But, for those first awe-striken 200 pages, I was moved more by Mitchell's undertaking than the plot or characters. And then, boom, it hit. After 200 pages of sketching a world with crazy, detail, its inhabitants suddenly took force. They blindfolded and gagged me and took me on a crazy headlong rush for the last 250 pages. I was still in awe of the sketch, but I was more moved by its inhabitants, happily swept along by them, dying to see where we all arrived. Mitchell's genius has been widely declared, and my voice is meaningless added to that throng. But I will say this: If he doesn't win the Booker this year, I'll cease to pay any attention whatsoever to that award.